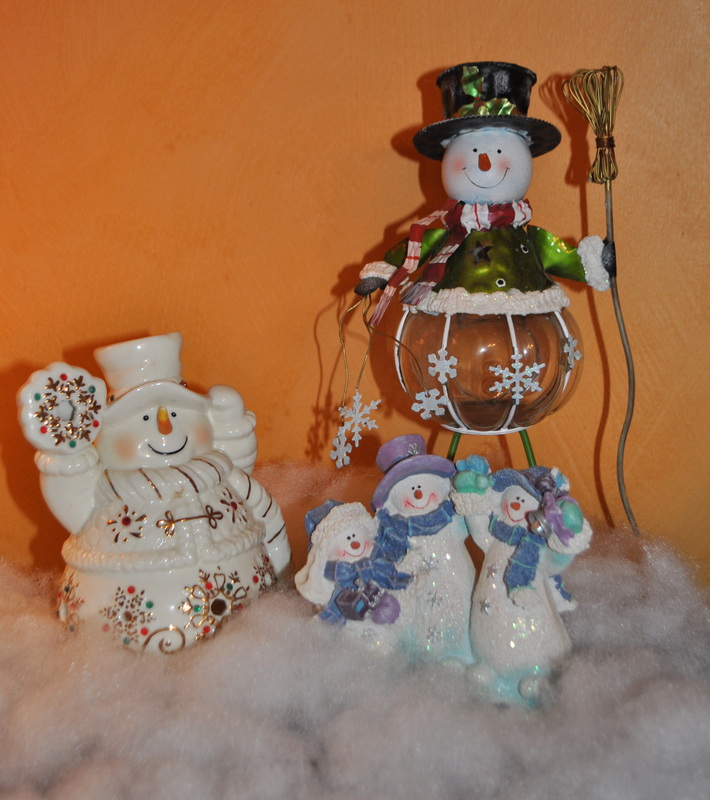 The Christmas tree is up, the stockings are hung, and the snowmen are playing in the snow. And it appears even my blog is in the Christmas spirit. The annual job of decorating is mostly done. It is certainly not a job I look forward to, although I really like the end result. My two oldest boys are living on the other side of the country this year, and don’t plan to make it home for Christmas. I was missing having them here and shed a few tears when no one else was watching. I also spent this weekend cleaning up and purging some old clothes, toys, books, and stuff. In fact, I have a whole car full of stuff to take to the thrift store tomorrow. Really, where does it all come from? I wish I could do that daily until I get the house and storage areas uncluttered, but earning a living requires that I spend most of my time each week working for someone else instead. So, due to all the other extra curricular activities this weekend, I haven’t gotten as much sewing done as I would have liked on the quilt top I’m making with the HST’s. Hopefully I’ll make a little bit of progress this week. Otherwise, I did want to show you the flannel blankets I made. Remember the elephant and robin I spent forever and a day trying to digitize? Well, I did finally finish it and was able to get the blankets embroidered and made. And I won’t share any of the pictures of the baby with the blanket since it is not my family and not my right to share them. But the baby was adorable with her blankets and the mom was very touched. The robin was meant to be a reminder of her grandmother, the baby’s great-grandmother, that has passed and wasn’t able to be there for the birth. I also finished crocheting another baby blanket. But of course, I forgot to take pictures outside today so you’ll have to live with an indoor photo. I would say December is off to a good start. Now, if I can just get my Christmas shopping done and presents made before the 25th. Haha, that might be pushing it. I would like to request a few extra weeks… Do you think we could delay it? Linking up with Confessions of a Fabric Addict for Can I Get a Whoop Whoop! This entry was posted in Crochet/Knitting, Family and tagged baby, blanket, Christmas, crochet, elephant, embroidery, HST, robin, snow, snowmen, tree by monkeyneedle. Bookmark the permalink. I so needed your blog post this morning. We just returned (late last night) from visiting our only in another state for the Thanksgiving week. He will only be home for Christmas for about 48 and we have company the next two weekends. Decorating after working all day is not something I look forward to but thanks to your post, I have received the push I needed to get it done! Hope you enjoy wonderful holidays! So glad to hear I was able to provide a little bit of inspiration. If I could get away with not decorating, I probably would. But I still have a 13-year old at home who won’t allow it. Thanks for the visit. Happy Holidays! 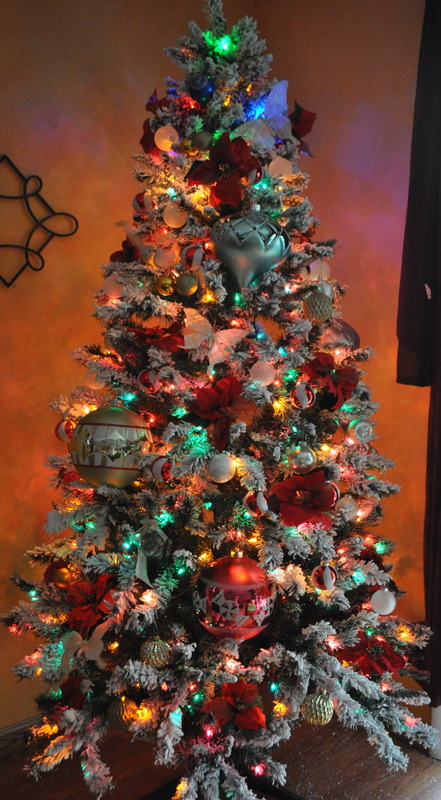 Your tree is absolutely wonderful! The past few years, we’ve plugged in a tabletop prelit job and called it done. Sweet blankets. 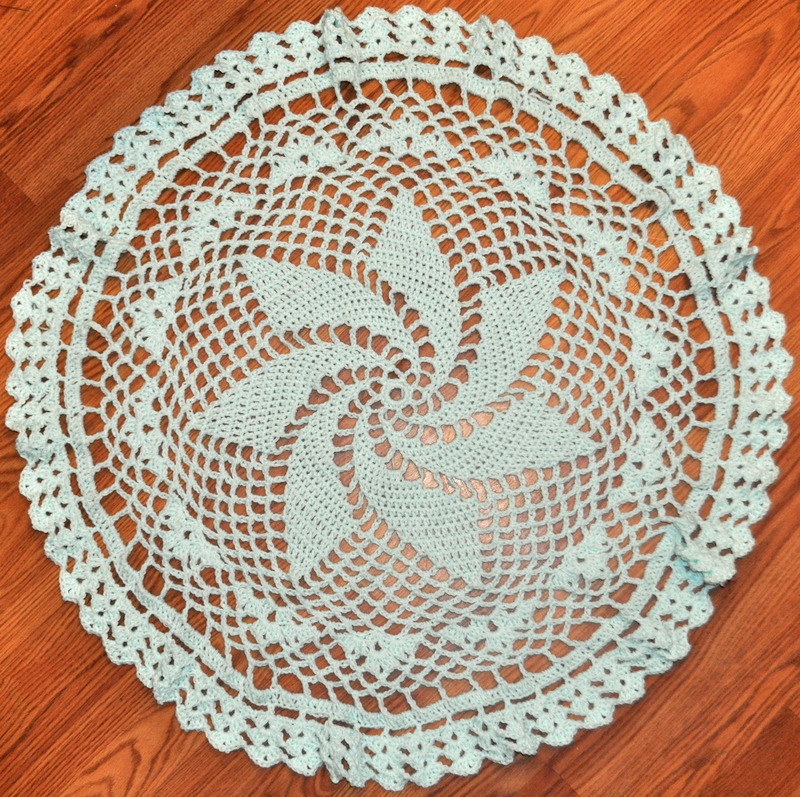 You do beautiful crochet! Thanks so much. 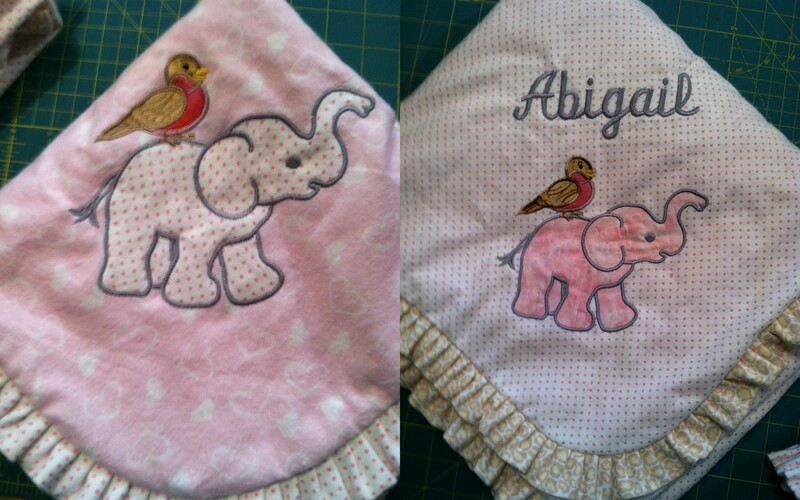 I love to make baby blankets and quilts. And I love your idea of a small tabletop tree — much less work! Thanks for visiting. Happy Holidays!